Back in December, Lehua was so kind as to agree to an email interview about her current career as well as her time in Coconuts Musume. I asked you guys for any lingering questions about her, Coconuts Musume or the early goings-on in Hello! Project and sent the best of them to her. Today I’m happy to present Lehua’s answers to your questions. Indeed, I’m glad to say that the majority of these were submitted by all of you via comments, tweets and emails — although I did have to take the opportunity to slip in a couple of my own, too (mostly the ridiculous ones concerning Tsunku’s manliness). This was definitely a group effort and I was lucky to have you all contribute your questions as I doubt I would’ve been able to come up with anything nearly as interesting as you guys did. Lehua, too, praised your questions! – Perhaps the last big news we heard about you was when you were crowned Mrs. Hawaii USA in 2008. Could you give us an update as to what you have been up to since then and what you are busy with right now? Are you still doing modeling? I am currently busy working for one of Hawaii’s Elite Plastic Surgeon’s, Dr. Jeff Healy. Working there has definitely taken up majority of my time in the week. On the weekends, I enjoy spending my free time with my family and friends. Occasionally, I will go out to media and social events. I am not passionate about modeling like I used to be. However, I still have to participate with any Mrs. Hawaii promotional events. – Do you still keep in contact with any members from Coconuts Musume or Hello! Project? 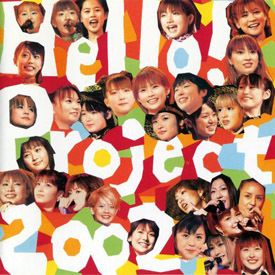 Yes, I still keep in touch with several members from both Coconuts Musume & Hello! Project. It’s hard keeping in touch with a lot of them because we are so far apart & live such busy lives. 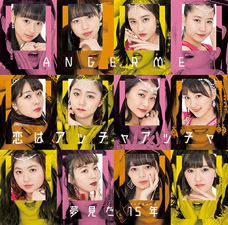 – Is your favorite song by Coconuts Musume still “Jounetsu Yuki Miraisen”? Do you like any songs by other Hello! Project groups? 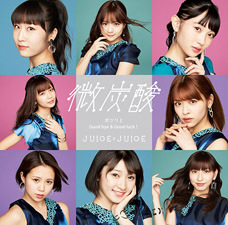 Yes, “Jounetsu Yuki Miraisen” is still my favorite song from Coconuts Musume. I enjoy all of the songs by the other groups. Sometimes, it’s hard to keep up with all of them though. I enjoy watching Goto Maki’s performances. – What was it like performing for so many people? Did you enjoy it? Was it tiring? I enjoyed performing in Japan. It was only exhausting rehearsing for the HP concerts. We would start rehearsals early in the morning and sometimes, we wouldn’t get back to our hotel until after midnight. – When you were first presented with a new song, how did you learn it, and specifically how did you learn the Japanese lyrics? How long did it take you to learn a song? When we were given a new song, Ayaka or Mika would write the song out in romaji for me & I would have to listen to the track of Tsunku san singing it over and over and over and over again. Eventually, I would memorize it. They would also have to translate the meaning for me so I could sing it with emotion. It took me less than a week to memorize a song. – How were your songs recorded? Did you sing the whole track solo and then they edited up the parts afterwards, or did you only record your specific lines? We would sing the entire song solo at a recording studio. We wouldn’t know who would get which lines until the final song came out. – Was it hard to learn choreography in a short amount of time? How did they teach you? With an instructor/studio practice only, or did they also give you a DVD to watch and help learn? How long did you practice a day? The dancing wasn’t easy for me. Depending on the song, sometimes we would have a dvd to watch before going into the dance studio, and sometimes we wouldn’t. I felt that I was always one step behind because I had to wait for my translator to explain what the dance instructor was saying. Plus, dance moves in Japan are a lot different from here in the United States. It took some time getting used to it. 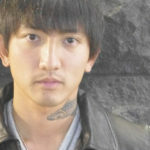 For Jounetsu, we practiced for about a week before filming the music video. – How did you cope with the language barrier? Did you feel uncomfortable appearing on variety shows on Japanese television when you didn’t speak the language? I only knew a couple Japanese words when I first moved to Japan. It definitely took some time to understand the basic words and phrases. Over time, it got a little easier because I had a translator and other members in the group to help me. Also, living there and only hearing Japanese all day every day, I began picking up the language. It was easier for me to understand Japanese than to speak it. I wasn’t too uncomfortable going on shows because I didn’t have to say or do too much…and if I did, Ayaka or Mika would just translate it for them. – What was being an idol like behind the scenes? It doesn’t have to be “juicy” or anything, but what was the average day-to-day life of an idol like? For me, I felt that it was a little different being an “idol” compared to the other girls. I honestly didn’t feel too much pressure to be or act a certain way since I was considered a foreigner. Life in Japan was mainly doing rehearsals & appearances. We would have off days here and there, but I couldn’t really do much on my own. We would usually go shopping on our off days, karaoke, or dine out with the other members at restaurants. – How was the divide between Japanese members of Hello! Project and the members of Coconuts Musume? Did Coconuts Musume girls tend to stick together, or did you have any close friends in Hello! Project outside of Coconuts Musume? All of the girls in HP got a long & we all mingled and hung out with each other during rehearsals. All of the members in Coconuts Musume were close, but it was always fun hanging out with the other HP members. I enjoyed hanging out with Kaori during rehearsals. She was fun. – What were the summer shuffle units Aoiro 7 and 7nin Matsuri like? Both times you were paired with Mika or Ayaka but did you also have any experiences with the rest of the girls? Did they try interacting with you or attempt communicating in English? I enjoyed being in Aoiro 7. Being in that group, was one of the first experiences performing in Japan. All of the other girls made an effort to communicate with me. It was fun trying to teach them English. Thankfully, Ayaka or Mika was there to translate. – Outside of Coconuts Musume, which Hello! Project member do you remember speaking the best English? I believe Sayaka Ichii understood English the best. I think it was her. I can’t remember. Haha! – Excluding Coconuts Musume: of the past and current Hello! Project roster, who would you most like to perform with? – Was Hello! Project welcoming of Coconuts Musume? Was there ever conflict between you, or the group itself, against the management (or maybe fans, other Hello! Project groups, etc)? All of the HP members were welcoming. They were all so genuinely nice to us. Like any group or management, there were minor issues, but nothing major. – Do you still receive royalties from Sony for releases you participated in? – What was it like working with Tsunku? Did you get to meet with him often? Tsunku was always so nice to us. We would meet him mainly during company parties, recordings and concerts. 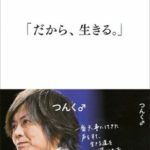 – Was Tsunku as handsome in real life as he is in pictures? Would you say he was your “type”? Tsunku is not my type, but his talent for music is attractive. – When did you last get a chance to visit Japan? – Where did you stay while in Japan? Did the company provide housing/some kind of a dorm? Was the expense taken out of your salary? I stayed in a hotel near Shibuya. The company paid for every expense except my shopping. Hehe. – What was the most difficult part of being an idol in a foreign country? Was it the language barrier, the cultural differences, or homesickness? Or something else? By far, the most difficult part was being homesick. I missed my family and friends. – What did you enjoy the most about being an an idol? What’s your most cherished memory of your tenure as a member of Coconuts Musume? I enjoyed the overall experience of it. It was an amazing experience that taught me so much about work ethics, Japan, and show business. Those experiences and stories will be passed on to my children, their children, and so on. – What did you like the most about living in Japan? I liked the shopping, technology, and the food. – Did any celebrities ever try to hit on you while you were working in Japan as a member of Coconuts Musume? – Do you still watch or follow any Hello! Project groups or the current idol industry in Japan in general? If so, how do you feel about how it has evolved over the years, and do you have any favorites in particular? – Have you mentioned your time as an idol to your daughter? What does she think about it? If your daughter wanted to become an idol herself, how would you feel about it and would you support her? My daughter enjoys watching the videos of Coconuts Musume on YouTube. She laughs at me, but I know she loves it. Haha. I support my daughter, Kaianna, in whatever she decides to do when she gets older. – How do you feel about the fact that the legacy of Coconuts Musume is still kept alive through live performances of your songs by the current members of Hello! Project? I am happy to see our songs still being performed in HP. I think that’s awesome! 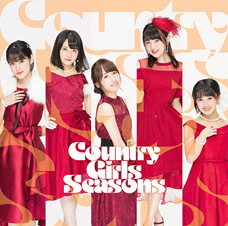 – With Country Musume recently revealed to still being active and Taiyou to Ciscomoon & Melon Kinenbi doing a one-night reunion on New Years Eve at the Hello! Pro COUNTDOWN event, can we ever hope for a Coconuts Musume reunion? Have the members ever talked about the possibility of doing a reunion tour or something similar? It’s harder because the Coconuts members are all scattered. There is always a possibility. – Any message you would like to send out to your fans who are reading? – Lastly… Hello! 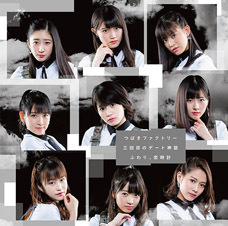 Project or AKB48? Thank you once more to all of you guys for the great questions and most of all a big thank you to Lehua for taking the time to answer them! If you want to read more Q&A’s with Lehua, check out this interview from 2004 and a couple of questions from 2011. To keep up with Lehua on social media, check out her new Instagram account lehua_nahina as well as her Facebook profile lehua.nahina! 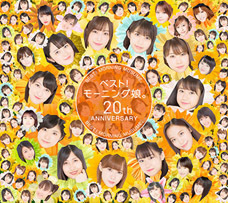 ← Any guys who ever felt like they wanted to join Morning Musume? Thank you for your effort Henkka. Lovely lady. Loved both her and Sayaka in Aoiro 7, they brought a different energy to the group. Thanks so much for setting this up! LEHUA!! She was (And still is) My Coconuts Musume Oshi. I LOVE HER SO MUCH. Thank you so much for this, Henkka! Also, thank you Lehua for accepting to do this. This was a great interview and a wonderful initiative. I loved reading all of it, even more so the answers to my questions (thanks for including them :D)! Epic. This post is epic. Thanks Henkka. Thanks for this, Henkka! And if Lehua is reading this, thanks for your time! The last question should have been the first. The best part, for me, is hearing about how genuinely kind and supportive all of the girls in H!P were. That’s always been something that has made Hello! Project stand out in my mind above all other idol productions, and a large factor in my continued support of the group(s). I don’t like seeing idols being forced to compete with one another, as it tends to create an undesirable working atmosphere for the girls, so H!P is in a higher class in my opinion. I can’t adequately express my gratitude to Tsunku and the rest of management for making such a comfortable environment possible. Lehua has a birthday coming up on 2/7……along with Aibon, Yaji and Hagi! If you all can, wish her a good one! Good job man! 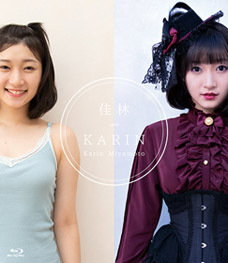 Next target: Ayaka or Mika Todd! Very nice interview. She’s beautiful. It’ll be interesting to have a group like Coconuts Musume at this day and age. Through the internet, they could receive more international support than back then. I wonder which ones who weren’t in CM she’s talking about. I could be way out of the loop about it but I don’t know of any english speakers. Dabblers yes but not what you would actually call a speaker. Perhaps Ayaka and/or Mika translate for her. Pingback: I Wanna Be Sedated… by Coco Girls! (or “Take This Hype and Shake Your Coconuts!”) | Magi-Kat presents "Morning Meteora"